Markets change; they shift, they grow, they shrink. Think of change as a curve over time. What shape curve best represents changes in Big Law service delivery? Service delivery here means how law firms – and law departments – deliver legal advice. That includes the mix of labor, the use of budgets and project plans, self-serve options, technology that improves efficiency + effectiveness, and frequency of communicating with clients. Flat – no change over time. 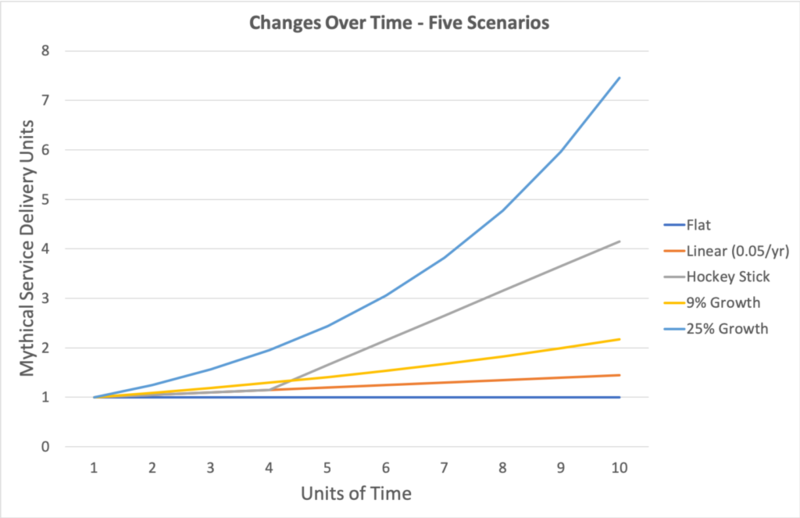 Linear – the unit changes by the same absolute amount each year. 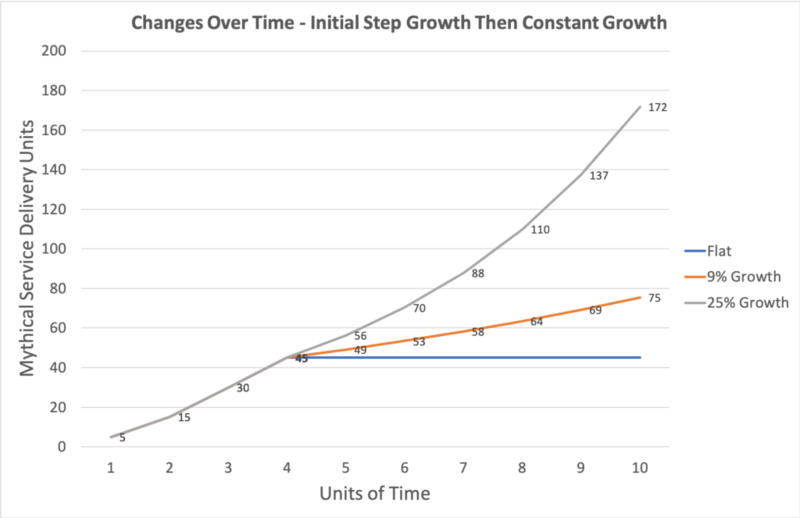 Constant growth – the unit changes by the same percentage each year. 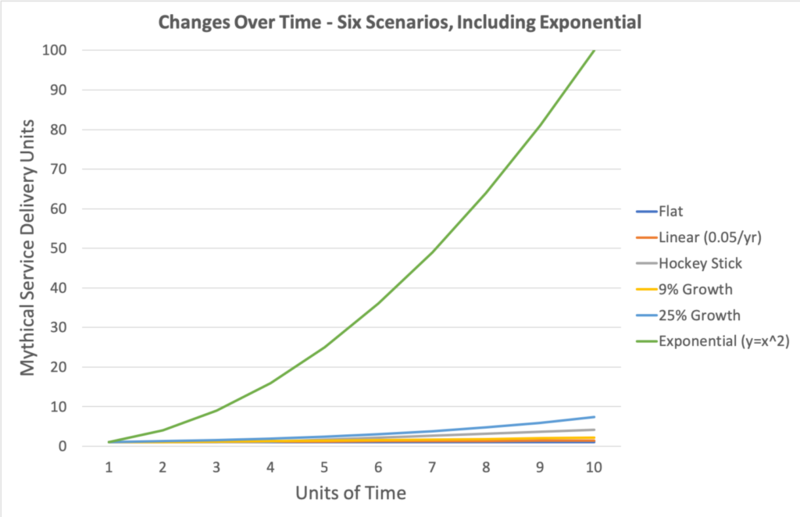 Exponential – the unit of time is the exponent (power) of the year number. If we had to characterize changes in lawyers’ service delivery, which line would you choose? 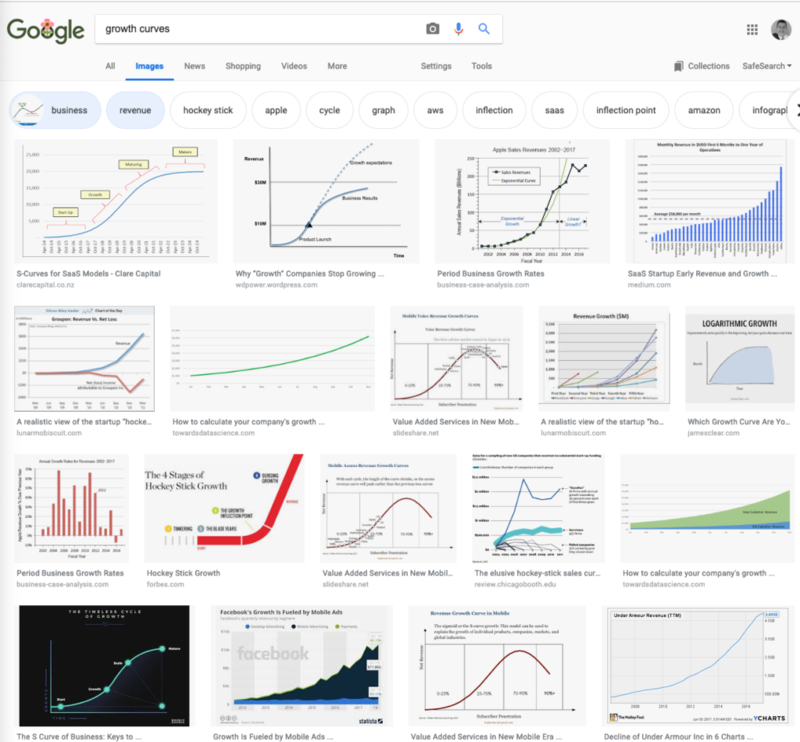 Many commentators imply rapid growth, a hockey stick, or a discontinuity. Where I have seen the most and fastest change in service delivery is in law firm pricing and matter budgeting. Until about one-half dozen years ago, there were only a handful of law firm pricing professionals. Now, the main pricing conference, P3, has some 500 attendees. A decade ago, budgets were rare. Now, many partners budget matters. If we had good data for these, I suspect the curves for both would have some initial steep growth, then a relatively modest growth rate. What about legal tech? Uptake of machine learning systems for due diligence reviews has been rapid. Again, my market observation suggests initial steep growth followed by more modest continuous but perhaps lumpy growth. 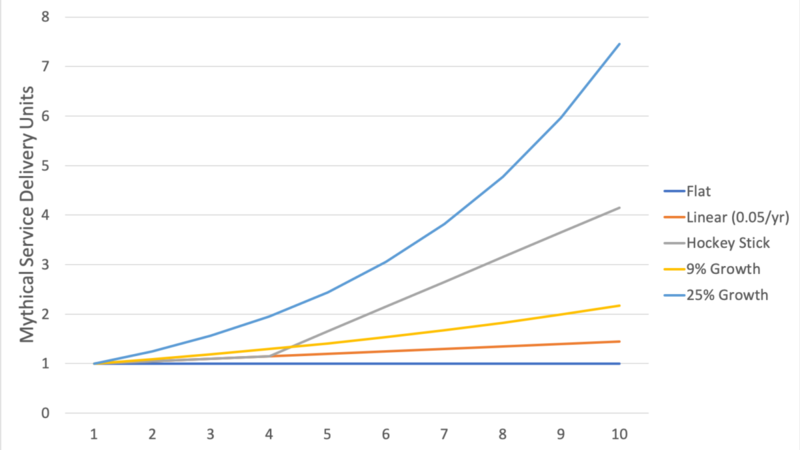 I visualize growth of these with the graph below: initially rapid penetration, followed by steadier growth. If we imagine not individual lawyers but rather the Am Law 200, consider where my assumptions leave the market after 10 years and ask yourself how many products / ideas / processes achieve 85% penetration (172 of 200) in 10 years. I emphasize again that everything above is a thought experiment. We lack good metrics but we can think about patterns of growth. If we do, and apply the bit of rigor implied here, would that change the nature of discussion about the speed of change in service delivery?